One of our favorite pranks that we've actually taken part in (see number five), this prank can be used with any celebrity picture! Whether your co-worker loves Justin Bieber, or just loves to hate him, covering their cube with these celebrity pictures will be sure to make their work area a POPular place to visit. Technology is rapidly changing every day and there's always something innovative and new to learn. Thanks to inventions like Siri, Alexa and Google Home, we've become used to having conversations with this technology. Play a trick on your co-workers by putting a note on toaster or microwave saying it's voice activated to see how many people talk to it! An oldie but goodie, this prank is a classic! Cover your co-worker's (or boss' if you're feeling confident) desk, chair, computer, keyboard, mouse - everything in post-it notes. 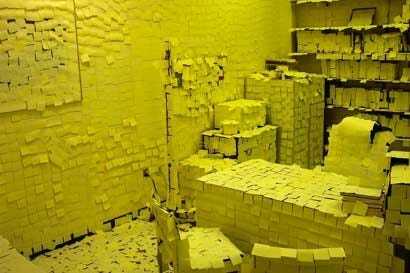 You might need to help them clean it all up but the laughs you'll get from their all-yellow office will be worth it! If you work in an office that has stalls in the bathroom then this is your go-to office prank, especially if you have a limited number of stalls. Stage a pair of shoes and pants in a bathroom stall so it looks like someone has been in there all day. Wait to see how many of your co-workers start spreading the news that someone has been hogging a stall for hours! As we stated earlier, this a prank that we successfully pulled on one of our co-workers! Swap out a co-worker's family pictures with pictures of funny celebrities or even animals. 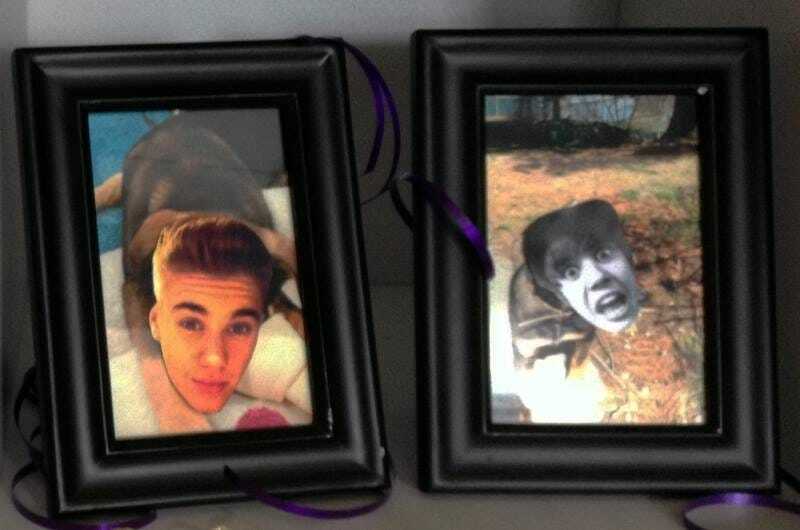 Our co-worker is a huge fan (not really) of Justin Bieber so we knew he'd be delighted to join the Bieber family! There really is something for everything these days! Some brilliant yet sneaky mind actually made a Chrome extension that replaces every image on every webpage with a picture of Nicolas Cage. We kid you not, this is a real thing, and it's one of the funniest pranks we've ever seen! This prank was made to really freak out your co-workers! Draw an outline of a black widow spider on top of a roll of toilet paper so the black marker will seep into the rest of the roll. Expect to hear tons of screams coming from the bathroom! As donut lovers ourselves, this one hits home for us! Bring in a "box of donuts" to the office but instead of donuts being inside, put a veggie platter in there. You'll see your co-workers go from excited to disappointed in 0 to 60. For any of your co-workers who love to make an entrance, this prank is for them. Tape a foghorn to the wall where the door would hit when someone opens the door to walk into your office. They'll definitely be blown away! This is by far the most classic office prank there is! Of course because it was made famous by The Office, we knew we had to try it! 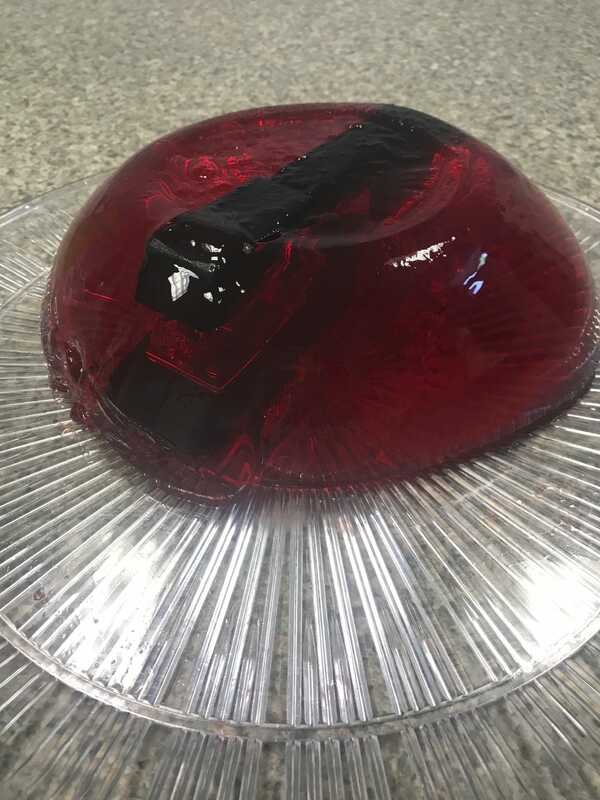 It certainly took us some trial and error but once we managed to get the Jell-O right, we were crowned master pranksters of the office. 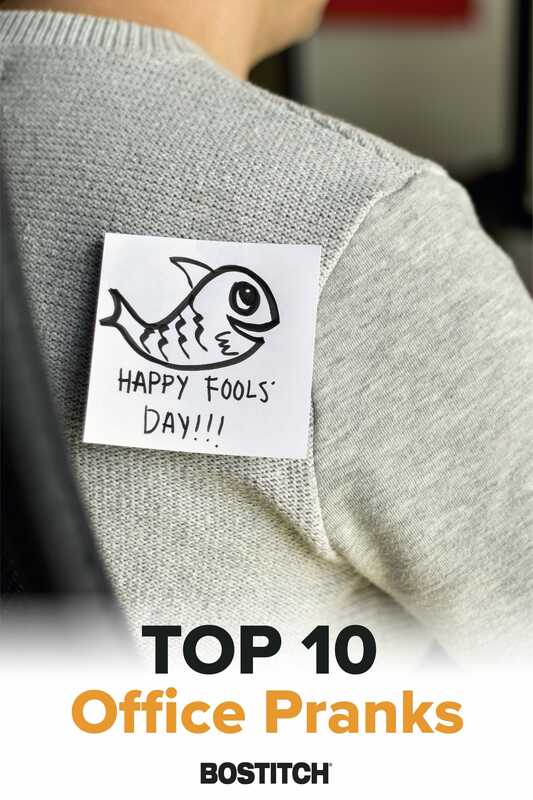 So now that we've given you some awesome ideas for office pranks, are you ready to start a prank war? Who will become the ultimate prank war champion? Let us know which pranks you decide to pull or if you come up with some original ideas of your own! May the odds be ever in your favor.